Project Fi has always had the same pricing scheme - you pay $20/month for unlimited talk and text, and then every GB of data you use is $10. You're only charged for what you use, so if I hit 2.5GB in one month, my bill would be $45. This works out great for users that are almost always near a Wi-Fi network, but not so much if you use plenty of cellular data. Single users are now charged a maximum of $80/month, no matter how much data they use. 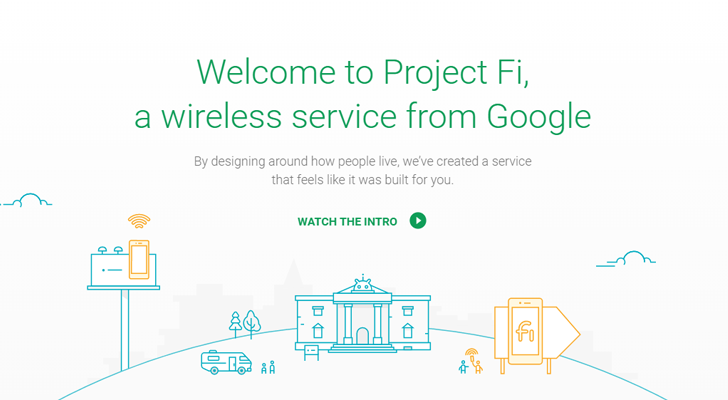 Project Fi will now cap your total monthly bill at a certain amount, based on how many people are on your plan. If you have one person, your bill maxes out at $80/month. Then it's $135 for two people, $170 for three, $205 for four, $240 for five, and $275 for six. Put simply, single users are now charged a maximum of $80/month (plus applicable taxes and fees), no matter how much data they use. It's very much like unlimited plans from other carriers, but you still get unlimited tethering and full-quality media streaming. And if you still only use small amounts of data, your bill stays exactly the same. Project Fi also says speeds are reduced once you pass 15GB; that's a bit lower than the threshold for other unlimited plans (AT&T's and Verizon is 22GB, and Sprint's is 23GB). With Bill Protection, Project Fi is once again competitive with major carriers, but there are still a few downsides. The lack of available devices is still a major problem; the only real choices are the Pixels and the Android One Moto X4, considering the Nexus 6 is old and the 5X/6P suffer from major hardware problems. Hopefully Google will continue to expand Fi's mid-range offerings, and maybe offer some lower-end devices, like the Moto E4 Plus.